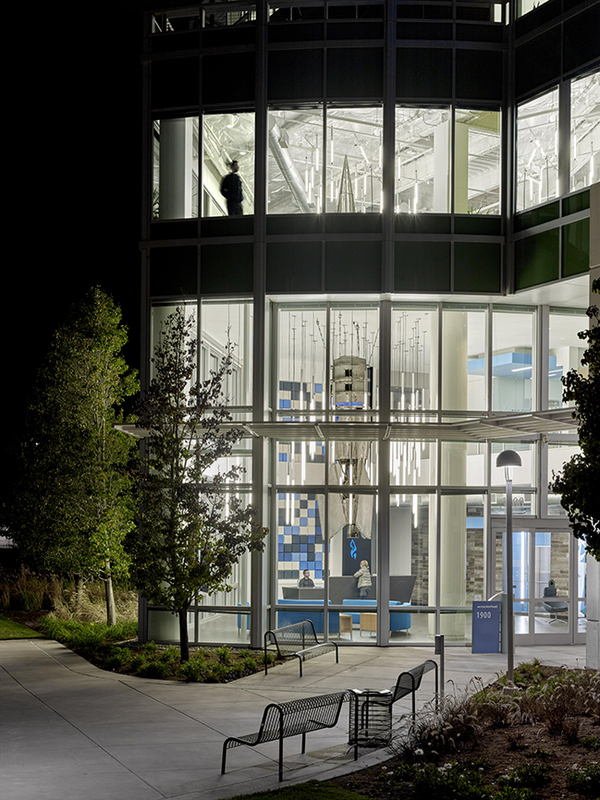 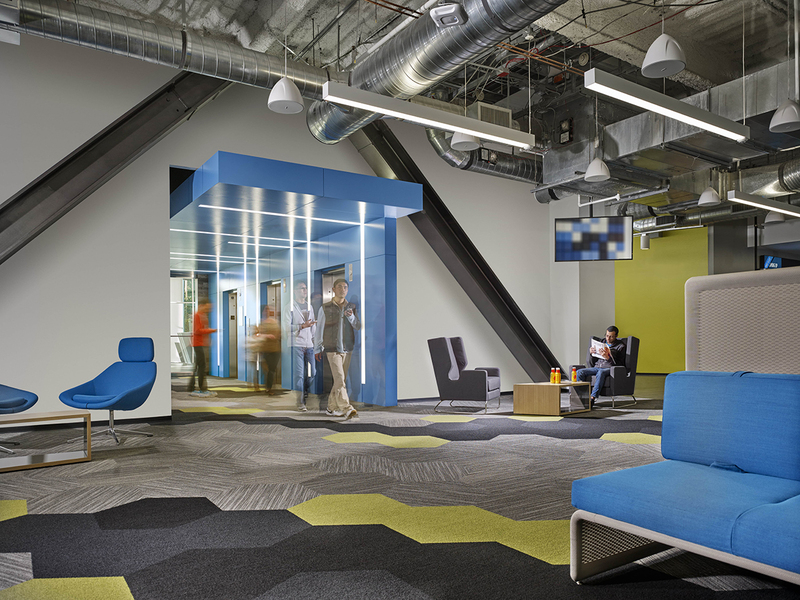 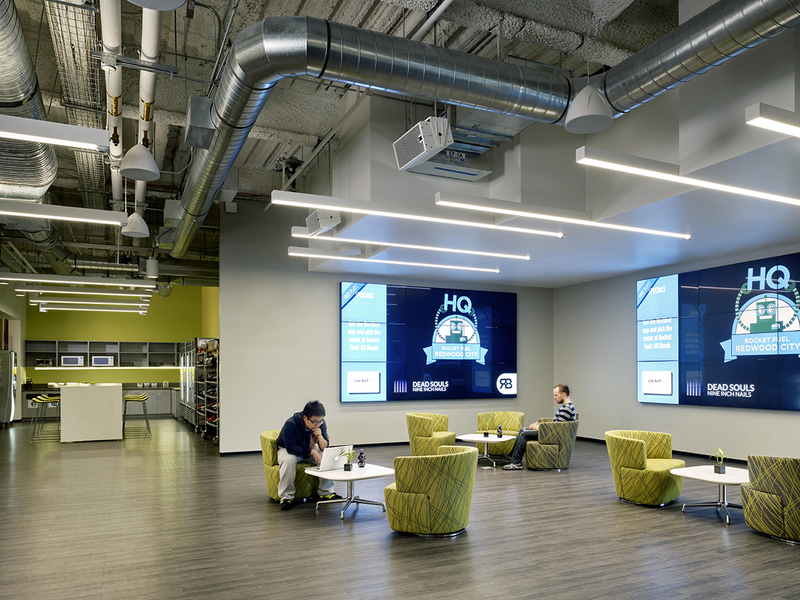 QA was commissioned to design the new World Headquarters for Rocket Fuel, the fast-growing industry leader in Artificial Intelligence for Internet Marketing. 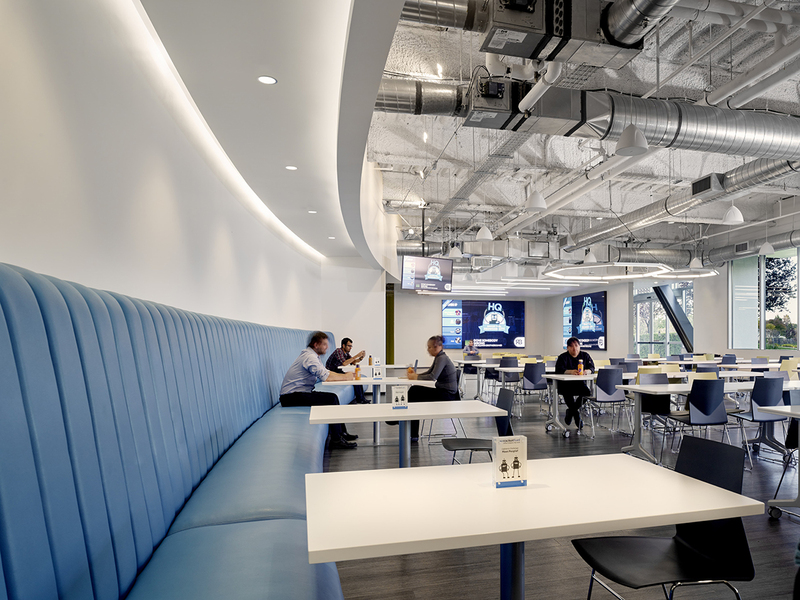 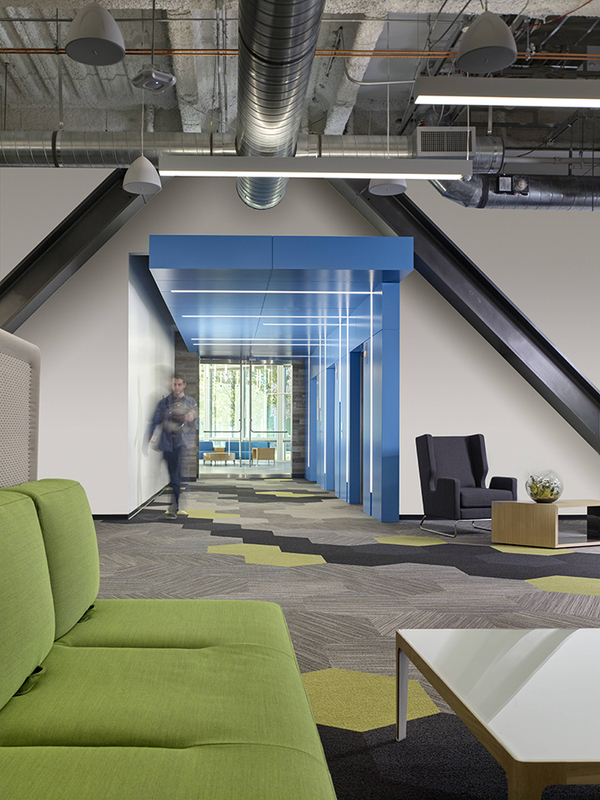 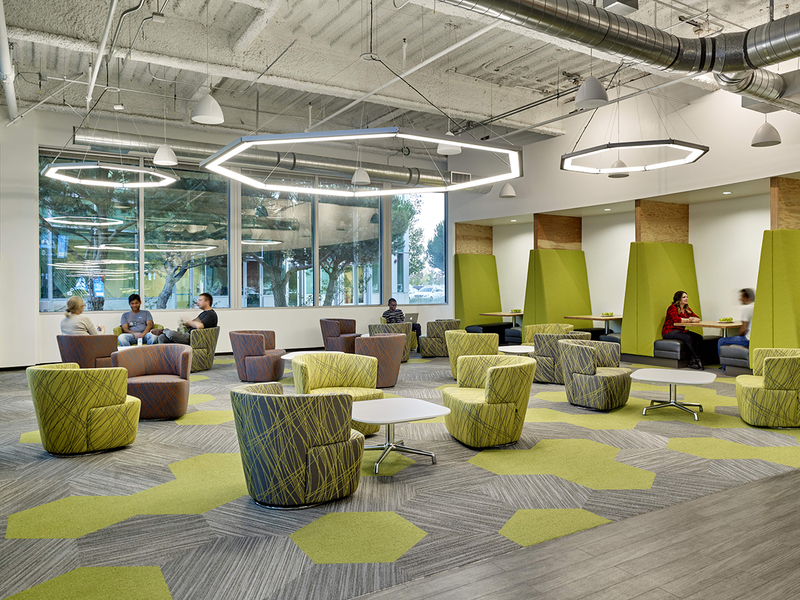 In addition to four floors of offices, conference rooms and collaborative areas, the heaviest staff interaction occurs in the large Café and All Hands Area that accommodates informal meetings, all-office presentations, interactive interoffice social functions, and in-house dining for lunches and dinners. 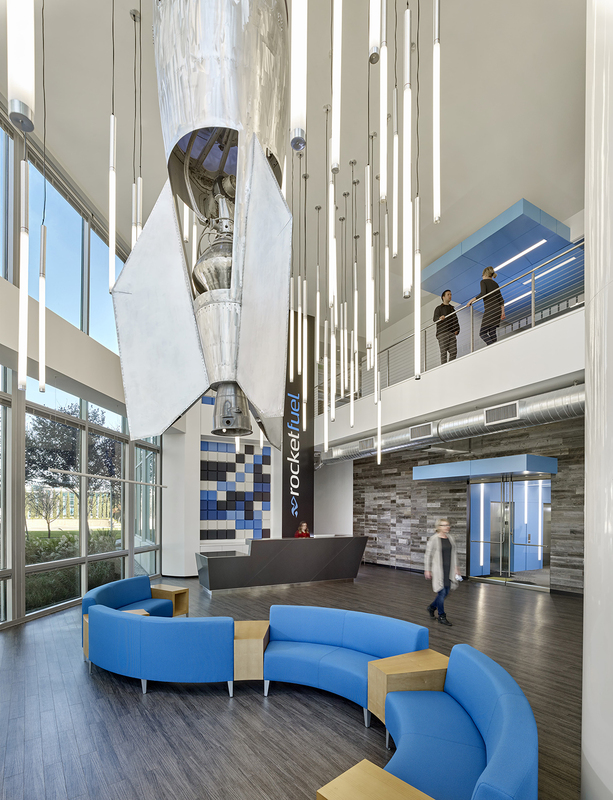 To accent the double height Reception Lobby, QA worked closely with a local fabricator to design a custom rocket sculpture composed of a re-purposed rocket body and several reclaimed rocket navigational parts. 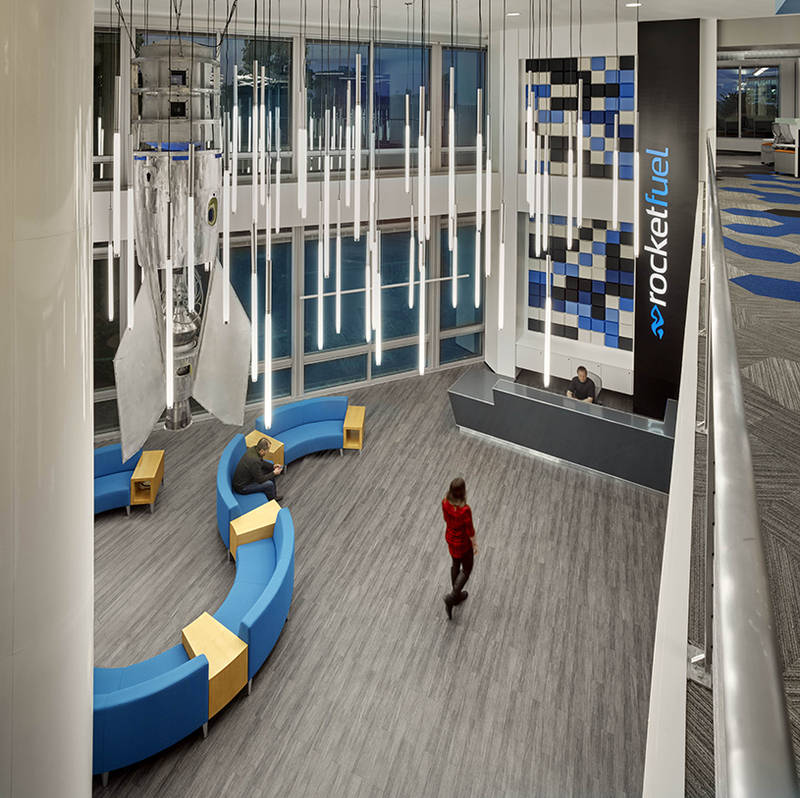 The base of the rocket is suspended from the ceiling of the Lobby, and the nosecone is mounted in exactly the same location to the floor above to make it appear from outside the building as though it penetrates through the floors.